Offshore wind is a fast growing industry with several business opportunities for companies with offshore and maritime competence. Ongoing activities to build competence on Offshore Wind and identify niches for technological development and market opportunities for NODE-companies. Establish network with relevant actors in the industry and position for relevant R&D programs. Funding: No external funding. Pre-study funded by Regional Research Fund. Statoil is building the world’s first floating wind farm outside of Scotland. The oil and gas giant would love to build renewable production in Norway. GCE NODE companies, Equinor and the Norwegian Ministry of Petroleum and Energy met with Nippon Foundation in Tokyo to discuss offshore wind collaboration. A group of business students recommends that NODE companies focus on floating installations in deep water, when exploring the offshore wind market. 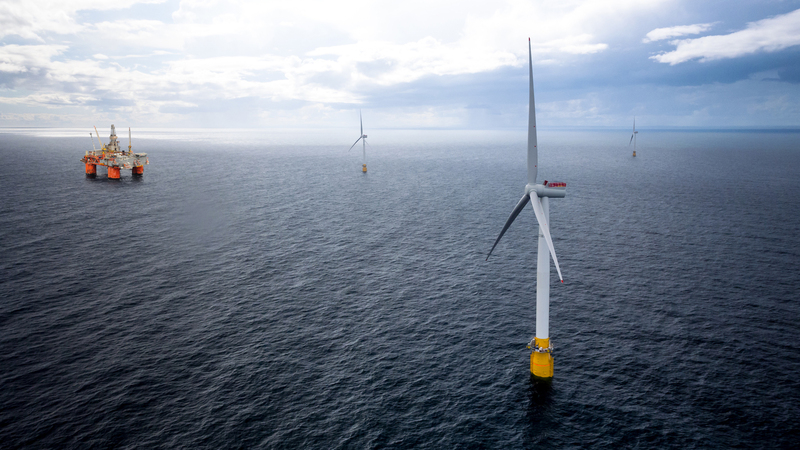 GCE NODE companies are ready to contribute to Equinor's plans for a floating wind farm. Some have already been part of a similar Equinor project. GCE NODE companies are well positioned to contribute to Equinor’s plans to build a floating wind farm on the Norwegian Continental Shelf. GCE NODE, Equinor, MacGregor and Origo Solutions recently met with high-level representatives of a number of Japanese offshore wind companies.